Save the tigers tank top. 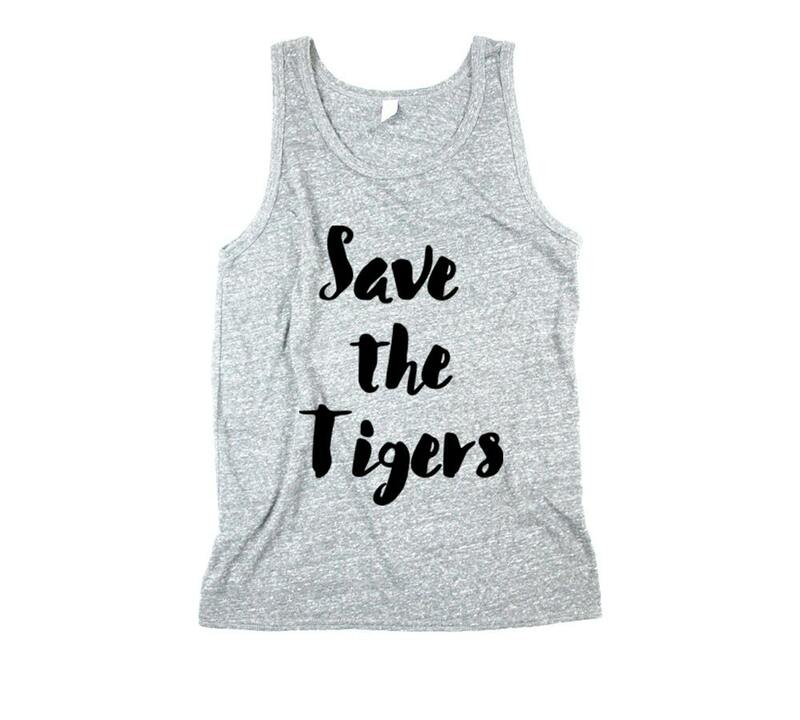 Mens unisex heathered ringer tank top with save the tiger print. Hand printed screen print for a fan of tigers. Clothing usually shipped in earth friendly recycled packaging.